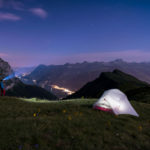 Travel photography is not just about taking beautiful photographs of beautiful places. It’s about capturing the essence of a destination and transporting whoever looks at your photos there by igniting their imagination. You have to put time and effort into taking emotive photographs and learn which situations are ideal for specific shots. Campfire shots look so much nicer when the sky is colourful instead of black. Most people wait until it’s completely dark before they take photos of the campfire. The result is usually disappointing because, even though the fire shows up in the photo, the people and setting around it don’t. It’s just bright flames with a black background. Light the fire just before sunset and take the photos at twilight when there’s still enough light to expose the people and landscape around the fire. Use a tripod and remember to ask everyone to stand still when you take the photos. Three different looks of Old Joe courtesy of painter, Wouter de Witt, aka Ghost. If you’re fortunate enough to go back to a place you love over and over, take a series of photographs showing seasonal changes or perhaps other interesting changes, like the look of Old Joe – a rock on the N4 Schoemanskloof road west of Nelspruit – which gets a facelift every few months. For maximum effect, try to take the photos with exactly the same equipment, on the same focal length, from the same spot every time. 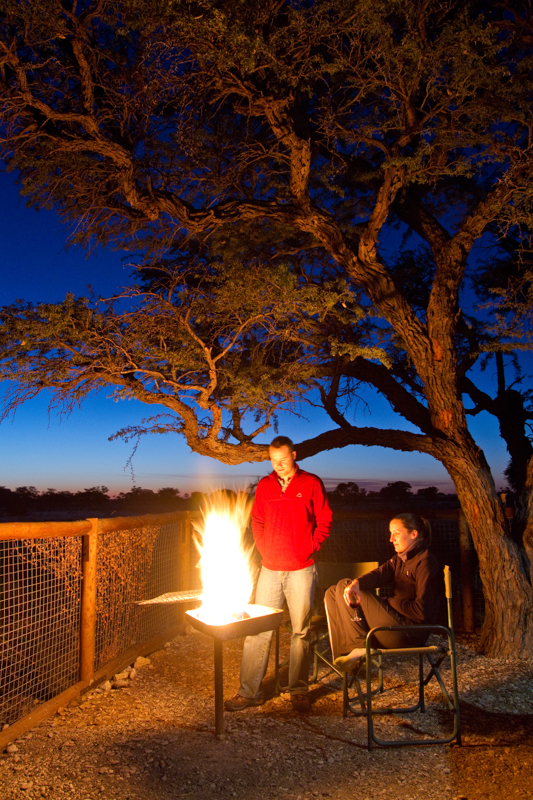 A candid side mirror-photo of a couple doing game viewing in the Kruger. Whether it’s in a mirror, a car window or even a pool of water, reflections make for powerful images so look for opportunities where you can use them when you’re travelling. A pair of sunglasses can be just as helpful to get a great reflection shot. 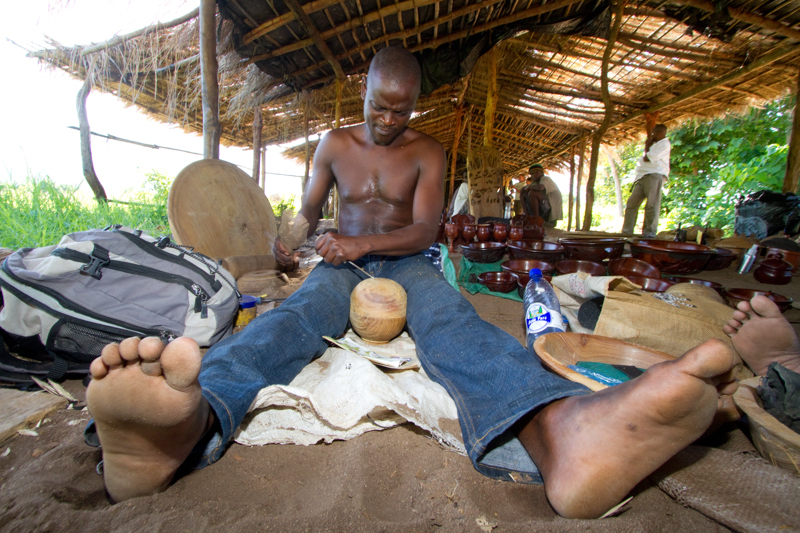 A wide-angle shot of a Malawian sculptor working his magic. Travellers are often afraid to engage with locals, but if you only watch from a distance you’re much less likely to get memorable photos compared to when you make an effort to meet new people with different backgrounds. Chat to the talented sculptors who carve ornaments outside your camp’s entrance gate, ask the fishermen on the beach about the morning’s catch and compliment the lady who sells fruit next to the road on her handmade necklace. Once you’ve made new friends like this, you’re much more likely to capture sincere smiles. 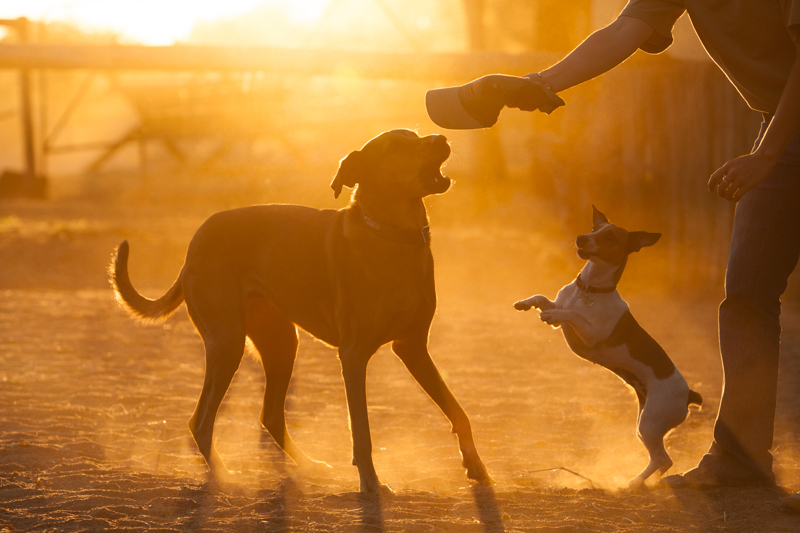 Two dogs kicking up dust early in the morning and looking spectacular in back light. 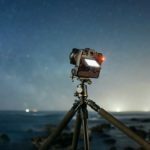 Dust can be a photographer’s worst nightmare, but it can also create opportunities for spectacular images, especially when you photograph through the dust into the sun. In back light, the dust saturates the air, filling the spaces around your subject (which is usually silhouetted) with golden or silver colour, depending what time of the day it is. The closer the sun is to the horizon, the more golden the colour. Without side light this lion track would not have stood out so beautifully. 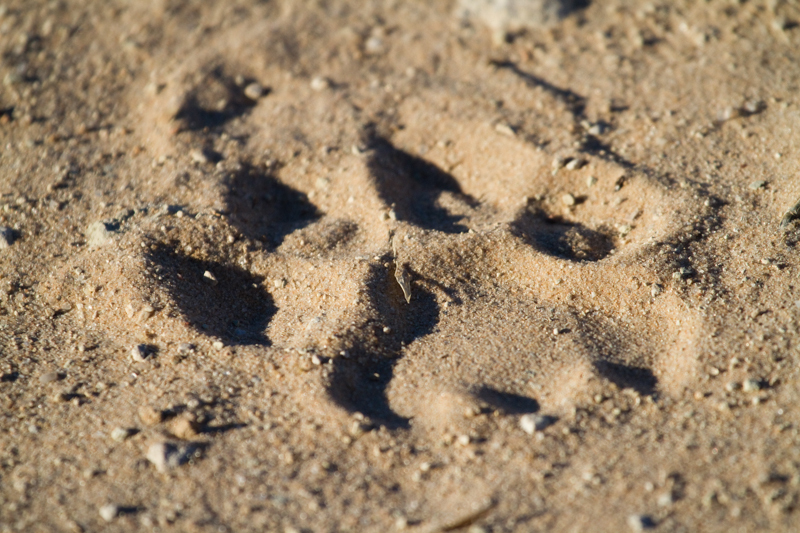 We all love finding fresh animal tracks in the sand, but taking nice photos of them is not always easy. To capture them at their best, you have to photograph tracks early morning or late afternoon on sunny days and always with the light falling from the side. This will create the tiny, but very necessary, shadows that make the tracks stand out. 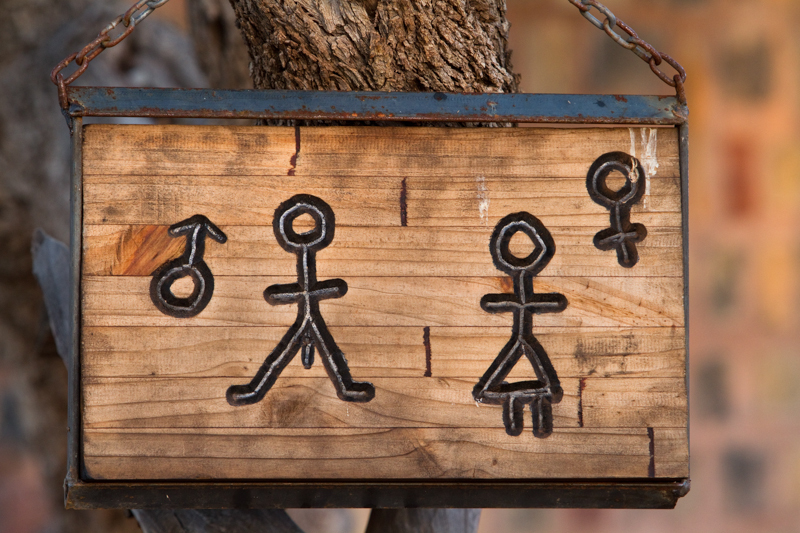 This quirky sign was photographed at Duwisib Castle in Namibia. People love funny signs – so much so that whole books of them have been published! Keep an eye out for anything out of the ordinary – it could be a spelling mistake, a clever play on words or even an animal disobeying a command. 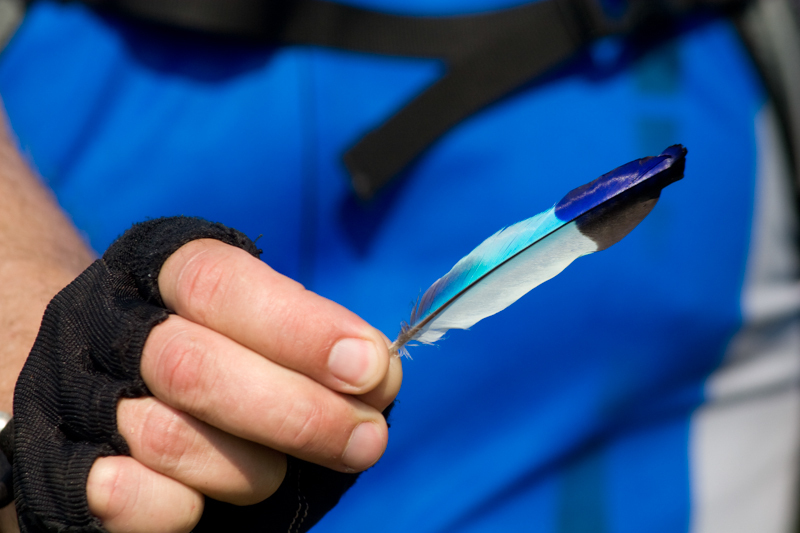 A rider’s blue shirt in the background compliments the blue feather he is holding. Certain colours compliment each other – red and green, yellow and purple and blue and orange. Try to combine these colours when you travel, either by searching for them in nature or by combining them purposely when you set up an image. Sometimes you can combine similar colours with great effect, like photographing a blue feather against a blue shirt in the background or photographing a crimson-breasted shrike on red Kalahari sand. A variety of photographs telling the story of a cycling safari in Botswana. When we write magazine articles, it’s paramount that our photographs compliment the words – in other words, our photos need to tell the same story we have written. 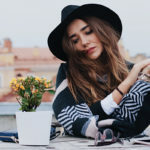 The only way to do this, is to frequently take a variety of photographs that can be strung together to highlight a sequence of events. 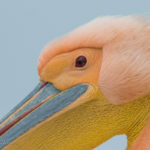 The key is to frequently change lenses as the situation calls for them, resulting in a nice variety of shots of your trip. 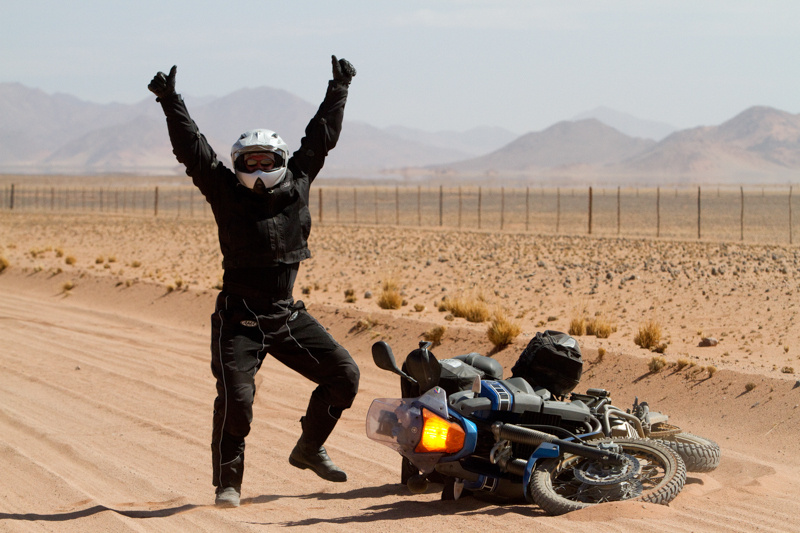 A fun photo of a motorcyclist ‘celebrating’ his fall on a sandy road. Photos of funny signs shouldn’t be the only ones of your trip making people smile. Pull faces, pose in creative ways or capture those humorous or embarrassing moments that you’ll talk about for years to come. When you smile, it opens up the door to your memories.